After graduating from Loyola Dental School in 1990, Dr. Julie joined the practice her father started in the 1940's. Dr. Donald Lies was one of the original dentists that founded the Aurora Dental Arts Building in 1967. Her areas of interest are Preventitive care, Family Dentistry, Invisalign, Root Canal Therapy, Cerec Crowns, Crown and Bridge, Cosmetic Dentistry and Restoring Implants. She attends the annual Chicago Dental Convention , participates in a Cerec Study Club and takes monthly Invisalign classes. She also attends many seminars during the year to offer patients the latest in technological advances. Mission Possible - A faith-based non profit organization to serve the people and community of Aurora. The Just Food Initiative of the Fox Valley- A faith and hope motivated organization offering a Hand UP. This group helps the needy grow, freeze and can their own food. St. Katherine Drexel Church - "Fully Engaged Committee" Dr. Julie and her husband John mentor engaged couples. Cosmopolitan Club - A club that fights diabetes. Operation Gratitude - Every year, Operation Gratitude sends 200,000+ individually addressed care packages to Soldiers, Sailors, Airmen and Marines deployed overseas, their children left behind, and to New Recruits, Veterans, First Responders, Wounded Heroes and their Care Givers. Each package contains food, hygiene products, entertainment and handmade items, as well as personal letters of support. ACDS - The Aurora Children's Dental Service - A non-profit organization that provides free dental care to children in need. Laser, Cerec, Invisalign, First Fit guided prosthetics delivery system and ITero Scan. Dr. Juiie believes in living life to the fullest and encourages everyone around her to do the same. She enjoys physical activities such, running, biking, tennis and cross country skiing. She also likes books, art and Aurora history. Dr. Julie is married and has three grown children. Dr. Julie's husband, John helps out with the City of Lights Dental business. 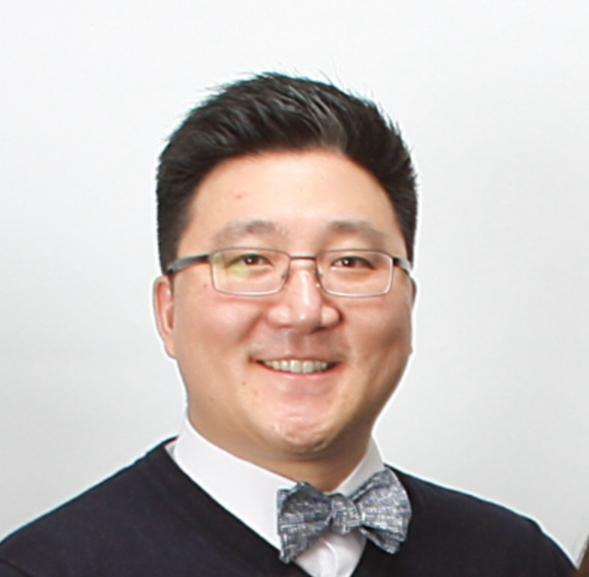 We are pleased to announce a new affiliate to our practice, Dr. Brian Shin. Dr. Brian Shin has been practicing dentistry since 2005. He received his DDS degree from the University of IL at Chicago College of Dentistry. He continued his training by completing a one year residency in Advanced Education in General Dentistry followed by a one year fellowship in Implant Dentistry at South Illinois University School of Dental Medicine. He has also earned numerous continuing education credits in implant dentistry, prosthodontics, periodontics, endodontics and occlusions. His professional memberships include the American Dental Association, Illinois State Dental Society and Chicago Dental Society. When he is not working he enjoys spending time with his wife and two boys. Practice Philosophy of Dr. Shin: When you care about patients and care about your work, you will have happy patients and find satisfaction in what you do. This is one of the reasons why I am able to enjoy all aspects of dentistry ranging from cosmetic work to working with children. Dr. Danesh received his DDS in 2008 and received his postdoctoral specialty training in Periodontology and Implant Dentistry at New York University. Dr. Danesh career goal is putting the patient’s interest first and minimize any inconvenience and stress to patients by making the process noninvasive and more efficient. He is a big believer of evidence based dentistry and uses current techniques and industry breakthroughs supported by scientific evidence, for providing the highest quality of care to his patients. Journal of Oral and Maxillofacial surgery, Implant Dentistry, Clinical Implant Dentistry and related research, Journal craniofacial surgery, Journal of American Academy of Cosmetic Dentistry, and Journal of Periodontal Research. He is a reviewer as well as editorial member of many professional scientific journals and has several oral and poster presentations at national and international meetings such as American Academy of Periodontology. His specialty clinical training and academic research focus on various advanced and complicated implant and oral surgeries including bone regeneration and grafting, sinus lift procedure, ridge augmentation, atraumatic surgical extractions and site preservation, soft tissue augmentation and treatment of gum and peri-implant diseases.